Prof. Elvis Nyarko, B.Sc. M.Sc. M.Phil. 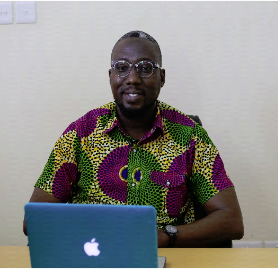 Ph.D.
Prof. Elvis Nyarko is an accomplished Academician with over twenty years’ experience in the field of Marine Environmental Science Research. As a distinguished lecturer, with expertise in research, mentoring, consultancy and investigative work, he has, over the years, provided scientific and innovative support to vital National and International projects. 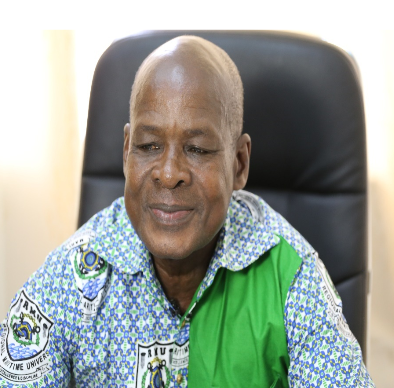 Prof. Elvis Nyarko has provided valuable scientific support in the capacities of Consultant, National Coordinator, Investigator, among others, to some Internationally partnered projects. These include the GloBallast Project, a joint initiative by the International Maritime Organization (IMO), Global Environmental Facility (GEF) and the United Nations Development Programme (UNDP), to control the spread of marine invasive species via ship’s ballast water (2009 to 2011). Others are the International Atomic Energy Agency (IAEA) Technical Co-operation Africa Project to enhance Regional Capacity for the Assessment of Contamination in the Marine Environment (2008-2012). MR. JETHRO W. BROOKS JR., B.BA, M.A. 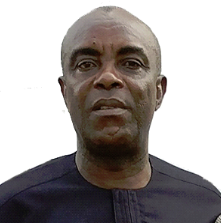 Mr. Jethro W. Brooks Jr, is an Honorary Fellow of the Regional Maritime University. He has over ten (10) years of Experience in Education, Organizational and Institutional Restructuring, Design, and Improvement of Business Processes. Over the years, Mr. Brooks Jr., has been involved in several Research Extensions and Academic Assignments. During the course of time, he provided Management Consultancy for the Execution of several Management and Administrative Training programs. These include the Ministry of Health of Liberia, the Medical Emergency and Cooperation International (MERC 1), Swedish Poly Clinic, Ministry of Public Works of Liberia, GTIZ of Liberia and the Road Transport and General Workers Union among others. Management Experience, involvements and Corporate Governance Span Private and Public Sectors. At the Regional Maritime University, Mr. Brooks Jr., has been involved in an entire range of Administrative and Governance structures through which the University manages and delivers its services. 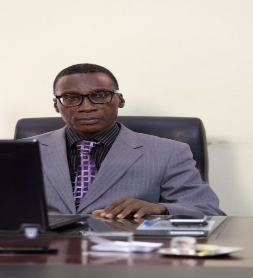 Dr. Baboucarr Njie, B.A, M.A, Ph.D.
Dr. Njie has strong leadership competencies grounded in contemporary organization development principles, for which he had warranted an appreciation of aspirations andmotivation, which Academic and Administrative employees emulate. Ing. Augustus Addy-Lamptey, B.Sc., MBA, M.Sc. experiences spanning some thirty (30) years making him an all-encompassing problem solver to meet and exceed the expectations of all stakeholders. As Provost, he is the Head of the Academic Sector of the University responsible for the provision of efficient/ effective Teaching, Learning and Research in accordance with the Policies and Procedures prescribed by the Strategic Plan of the University. Ing. Addy Lamptey assumed office as the Provost of the Regional Maritime University after having distinguished himself as a true Dean, Faculty of Engineering for some seven (7) years. 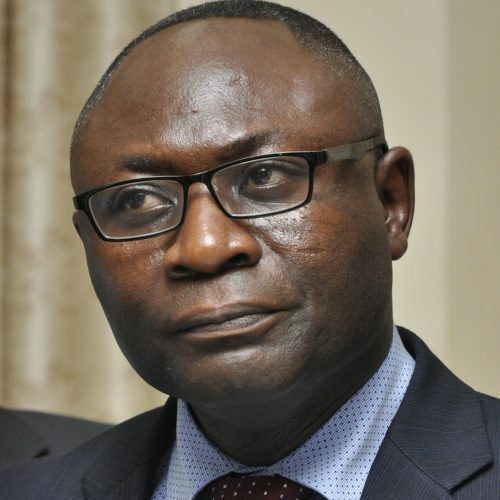 He is a Chartered Engineer of the Engineering Council of UK, Chartered Marine Engineer of the Institute of Marine Engineer Science and Technology, UK, Corporate Member of the Ghana Institute of Engineers, Certified Quality Lead Auditor, UK and Academic Auditor of the National Accreditation Board. Director of Finance, Regional Maritime University. Ms. Vania O. E. Thomas is an Astute Member of the Regional Maritime University Management Team. She has cumulative work experience of nearly two decades in Ghana and overseas, which straddle very important sectors in the Public and Private Sector, Academia, Local and Government. 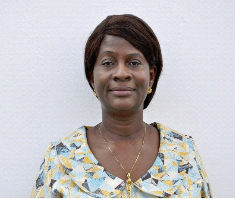 Prior to her Appointment as Director of RMU, she served as Director of Accounts, Sierra Leone Maritime Administration (SLMA) and Accounts Officer, Public Financial Management Reform Unit, an Institutional Reform and Capacity Building Project (IRCBP) in Sierra Leone where she doubled as Project Accountant for the SLMA (ECOWAS Bank for Investment and Development Project on Jetty Construction and Rehabilitation). 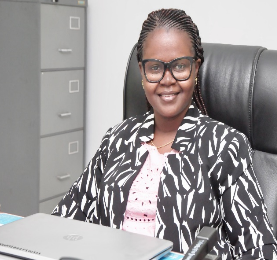 There she succeeded in bringing the Annual Audit up to date, spearheaded the implementation of a Locally Developed Payroll Software in line with the Administration’s specification and developed an Account Procedure Manual for the Administration. 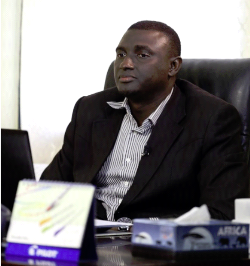 Dr. John York Abaidoo commenced his career as a Chief Engineer, Atlantic Tuna Complex, Tema, Ghana. His years as Chief Engineer was characterized by an innovative, positive, and diversified marine engineering and management experience on Ocean-going vessels. His long association with engineering services comprising workshop, civil work, afloat vehicle, and other ancillary equipment maximized compliance knowledge of the International Maritime Safety and Pollution prevention regulations. His passion for collaboration and directing research to practical academic benefits for industrial needs started his leading role as Research Officer-Engineering Faculty, ODESSA Higher Marine Engineering School, USSR. Dr. George Kobina vanDyck, B.Sc., M.Sc., Ph.D.
Ag. Coordinator, School of Graduate Studies.